When a sniper strikes Dallas, the BAU investigates whether the upcoming anniversary of the Kennedy assassination is a motivating factor or if something else is driving the UnSub, on CRIMINAL MINDS, Wednesday, Oct. 9 (9:00-10:00 PM, ET/PT) on the CBS Television Network. 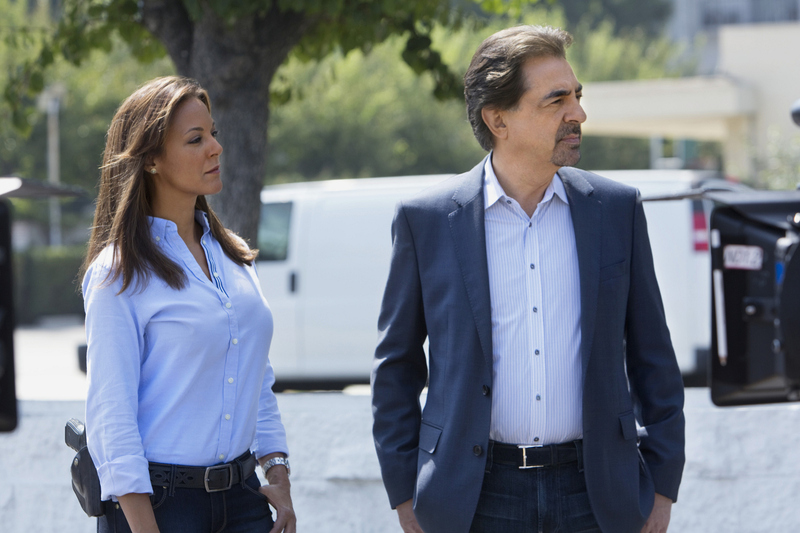 Eva LaRue guest stars as FBI Agent Tanya Mays, who assists the BAU with the investigation.Right: Joe Mantegna as David Rossi. Photo: Cliff Lipson/CBS ©2013 CBS Broadcasting, Inc. All Rights Reserved.